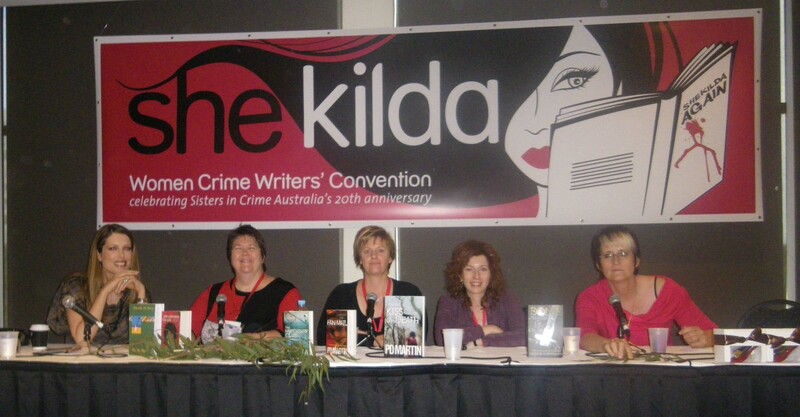 I was at the SheKilda crime convention a couple of weeks ago and attended this panel on Cross Genre Writing. It is amazing how many speculative fiction writers also write mysteries. Or you could say, how many crime and mystery writers include a bit of the paranormal in their books. With plants and animals, if you cross breed the off-spring are hardier. If you keep inbreeding the off-spring develop weaknesses. Not sure if the analogy holds true for books. The panel talked about whether their die-hard (sorry for the pun) crime and mystery readers were turned off by the paranormal element. For some of them like PD Martin the paranormal element was very slight while, for others, it was a major factor in the plot and world building. They all agreed that it was the story itself that dictated whether to include a paranormal element. Everyone enjoys a good mystery. Asimov was writing SF-mysteries when he coined the Three Laws of Robotics. Each of the Harry Potter books is based around a mystery (or at least they were when I was reading them to my kids. We stopped after number 3 or 4). Do you think that combining elements from the mystery genre with the speculative fiction genre makes for a hardier hybrid? Cross Genre – Everyone’s doing it! This weekend I’m at the crime writers convention in Melbourne. SheKilda. This is run by Sisters in Crime, the Australian branch of an international organisation. My para-crime (no sparkly vampires, I promise) is coming out next March with ClanDestine Press. I ‘ve written books for five year-olds through to young adult books. They’ve been faction (fact dressed up as story to convey information) and every other fiction genre I can think of. My short stories have covered near future sociological SF, through horror (now called Dark Fantasy), steampunk (before I knew it was called that) to fantasy. Funnily enough, I don’t write much fantasy in the short story form. My published books adults have all been fantasy, until now. Not that I haven’t written other books. I have two SF novels based around mysteries. In the past publishers tended to like you to write in the one genre so they could retain your readers. I don’t know why they thought readers only read in one genre, because from what I’ve heard people say, they read widely and will follow an author they like across different genres. I’m happy to see my para-crime finally reach and audience. Like the authors mentioned, the story takes me and I just have to write it. I find it is the themes that can be similar across different genres, some genres give a writer more freedom than others. Some have great tropes and toys to play with that might suit a particular idea. Who doesn’t like a steamship dirigible! Do you write across genres? What draws you to other genres? I’m doing a big girl squee at the moment. This is the cover for my new book, a paranormal crime set in Melbourne. I talk about it here on my blog. 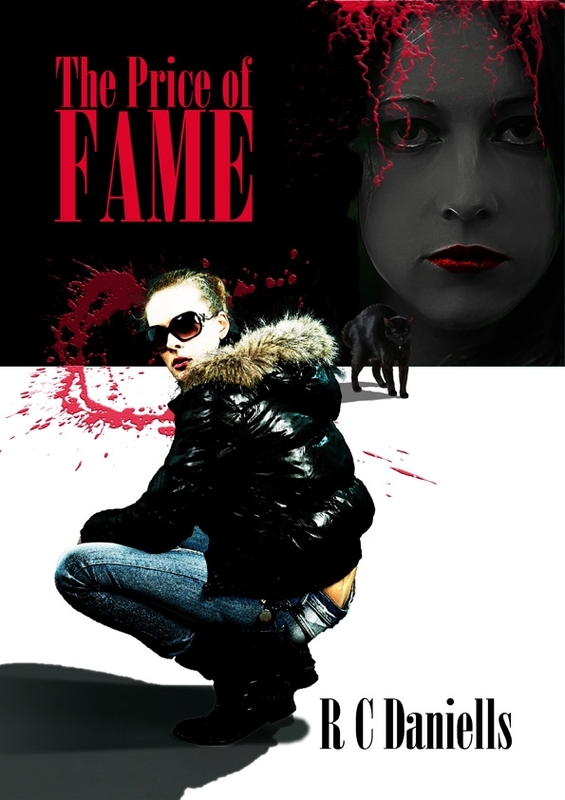 What’s nice about this book being accepted by new independent publishing house, ClanDestine Press, is that Lindy Cameron, the publisher, is an award winning writer in the crime genre. This means my book has met her standards. It’s always particularly nice as a writer to have a fellow author say they like your book because they can see the frame-work holding up the artifice. And it is good to get her stamp of approval for working in the crime genre. As a writer I find it hard to see myself as one specific genre writer. My reading tastes cross several genres. I write across a wide range of genres and age groups with around 30 children’s books published, ranging in age from early readers to YA, and in genre from contemporary comedy, to dark urban fantasy. My short stories have been mainly SF, horror and dark urban fantasy, rather than fantasy. (The two stories that were highly commended in the Year’s Best anthologies were horror and SF). To differentiate this book (as if the cover weren’t enough) from my fantasy books, I’m publishing under RC Daniells. Since this is a writers’ blog about the travails of writing, I thought I’d share with you the path that this book has taken to publication. I wrote the first draft when I was 23. Then I put it away for a dozen years and sent it out when I was 36 to the Harper Collins $10,000 Fiction Prize, where it made the long short list. Nothing came of that, so I put it away again. Then I thought of a way of updating it along two time lines so in my forties I created a second narrative thread, tying in the story set in the 80s, with a contemporary story. Now, all these years later, the book is seeing the light of day. I guess, what I’m saying is that perseverence is a creative person’s greatest asset. Looking back, there was nothing wrong with the book I wrote at 23. The original story is still there embedded in the narrative with a phrase cleaned up here and there. I could have given up and never written again, or given up on this story but I didn’t. I thought there was something worthwhile in it and, 30 years later, I’ve been proved right. So for me, seeing this book accepted is particularly satisfying. I just wanted to share the buzz with fellow writers who would understand. What’s the longest that you’ve held onto hope for a story/book before seeing publication?